Tammy Payne is our Office Manager. 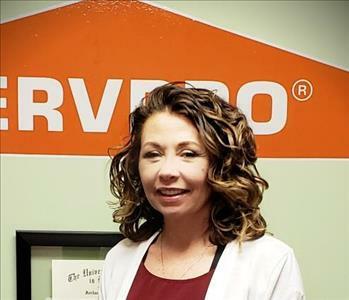 She has been with SERVPRO of Decatur since March 2016. Tammy keeps everyone in line and ensures that all of our employees and customers are taken care of. 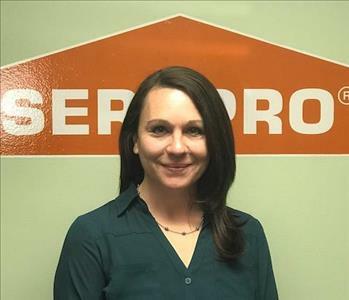 From the initial phone call to the very end of the job, Tammy follows each step closely to ensure that our customers are given the very best service. Outside of work, Tammy enjoys spending time with her family and going to the beach. Tammy is also IICRC Water Damage Restoration Certified. 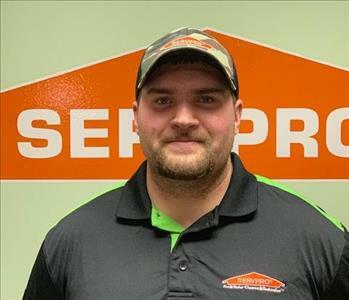 Thomas Davis is a crew chief here at SERVPRO. 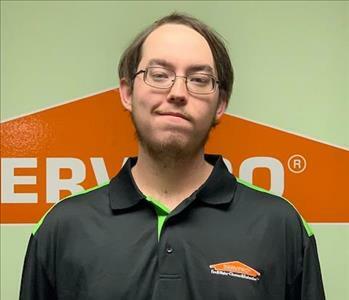 Thomas has been with us since August of 2017 and is our go to person for HVAC cleaning. He has taken the lead on numerous commercial duct cleaning jobs and we are thankful to have him on our team. Like all of our employees, he goes above and beyond to provide the very best customer service. Thomas also traveled to California with our storm team to help with the wildfire cleanup. Blake is our assistant production manager and has been with the company since July of 2017. He started as a production technician and quickly became a crew chief. He did so well that he was recently promoted to assistant production manager. Blake traveled to North Carolina with our storm team and really stepped up when he was needed during the wildfires. Blake stayed here and kept production running smoothly while the storm team was gone. Outside of work, Blake enjoys spending time with his son. 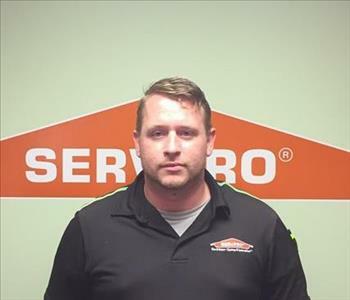 Ray is a Sales and Marketing Representative that came to us in March of 2017. 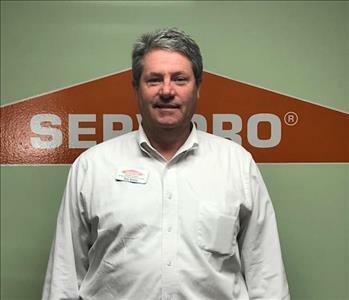 Ray is the sales and marketing representative for the Decatur/Morgan County area. Ray has the perfect mixture of a great personality and sincere compassion that it takes to do what we do. He is a go-getter and is always looking to meet new people. He traveled with our storm team to North Carolina for the hurricane as well as California for the wildfire cleanup. When he isn't working, Ray enjoys spending time with his family. Julie is our Marketing Manager. 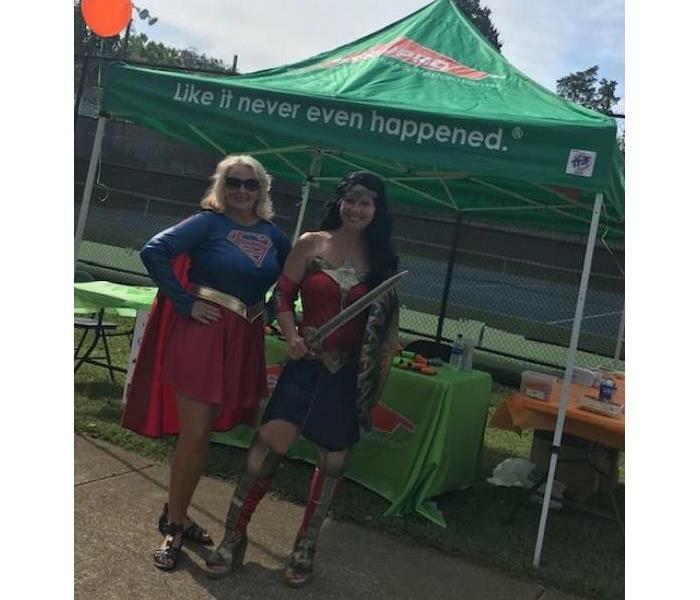 She came to us from another SERVPRO franchise in June of 2017. 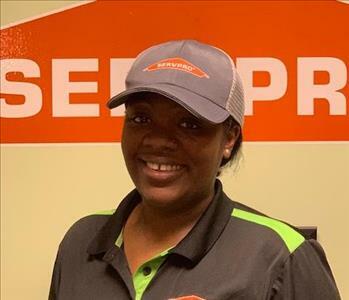 She has been with the SERVPRO family for over 6 years. She works closely with the marketing team to ensure that our contacts are getting the very best service possible. She is currently working on getting her continuing education certification as well. When she isn't working, she enjoys spending time with her family. Aledra is one of our administrative assistants and has been with us for about 5 months. She is one of the first people that our customers speak to and has the ability to put their minds at ease when they speak to her. She works closely with Tammy our office manager as well as Christy our other administrative assistant. 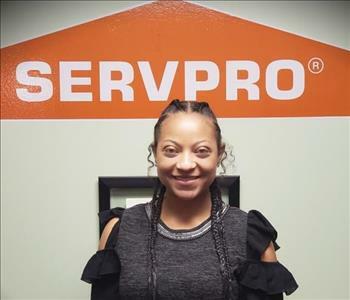 When she isn't helping our customers here at SERVPRO, Aledra enjoys spending time with her family and making others look gorgeous by doing their makeup. Christy Chaney is another one of our administrative assistants. She has been with the company for almost a year. She is also one of the first people that our customers speak to as well and also has the ability to ease their minds. Christy has also taken on the role of job file coordinator in the office. She ensures that all of the job files are complete with all of the required documents and pictures. She provides the highest level of customer service and we are very fortunate to have her. When Christy isn't working, she enjoys spending time with her family. Especially her grand-children. 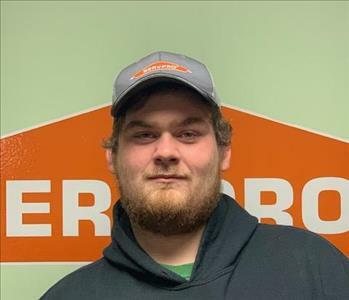 Austin is a crew chief here at SERVPRO and has been with the company for close to a year. He started as a production technician and was recently promoted to crew chief. Austin traveled to North Carolina and California recently on storm and really excelled. We are happy to have him on our team. In his spare time, Austin enjoys spending time with his family, fishing, and duck hunting. 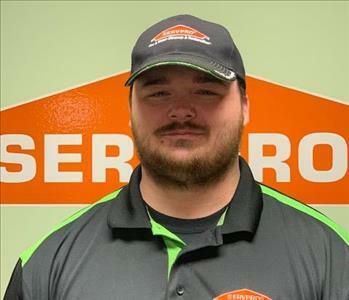 Alex Haney is one of our crew chiefs here at SERVPRO of Decatur and has been with the company for close to a year. Alex started out as a production technician and was quickly promoted to crew chief. His work ethic and leadership skills are assets to our company. He strives to provide the best service possible to our customers and does not stop until the job is done to their satisfaction. Alex goes above and beyond on a daily basis. Outside of work, Alex enjoys spending time with his family and painting. Jessica Malone is one of our production lead technicians that specializes in content cleaning/laundry. Jessica has been with us for about 6 months and has learned so much since she started. 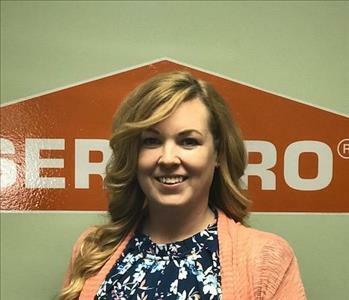 Jessica is in charge of making sure that the clothing that comes to us from a fire or water damage are properly cleaned. She also using our inventory software to create an inventory report for our customers. When Jessica isn't at work she enjoys spending time with her family. 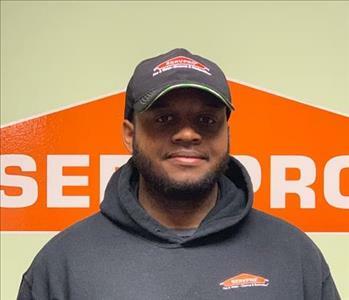 Savon is a production technician here at SERVPRO and has been with us for about 7 months. Savon traveled with our storm team to California to assist in the cleanup after the wildfires and learned so much in the process. Outside of work, Savon enjoys spending time with family and friends. Logan is a production technician and has been with us for about 8 months. He has traveled with our storm team to California to help with the wildfire cleanup and learned a lot while he was there. Logan has a great personality and a can do attitude. He strives to ensure that our customers receive the very best and does whatever he can to make sure they are happy. In his spare time, Logan enjoys spending time with his family. 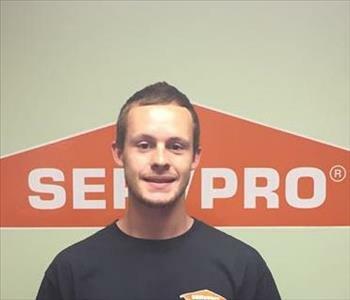 Nathan Hardy is one of our lead technicians that specializes in fire and content cleaning. He has been with us for 4 months and has really excelled. Nathan is in charge of ensuring that any contents that a customer is needing us to pack out and clean at our warehouse are properly packed, tagged and inventoried. He works closely with our customers to keep them updated on the progress of their items. Outside of work, Nathan enjoys spending time with his family. 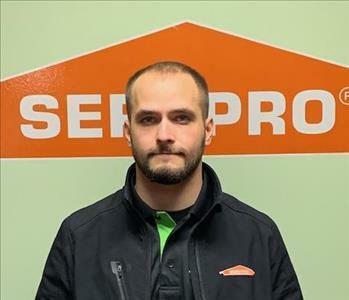 Tony is a production technician here at SERVPRO of Decatur. 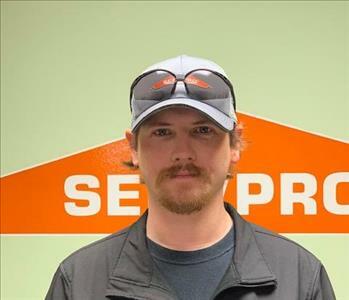 He has been with us for about 6 months and has been specializing in HVAC cleaning. 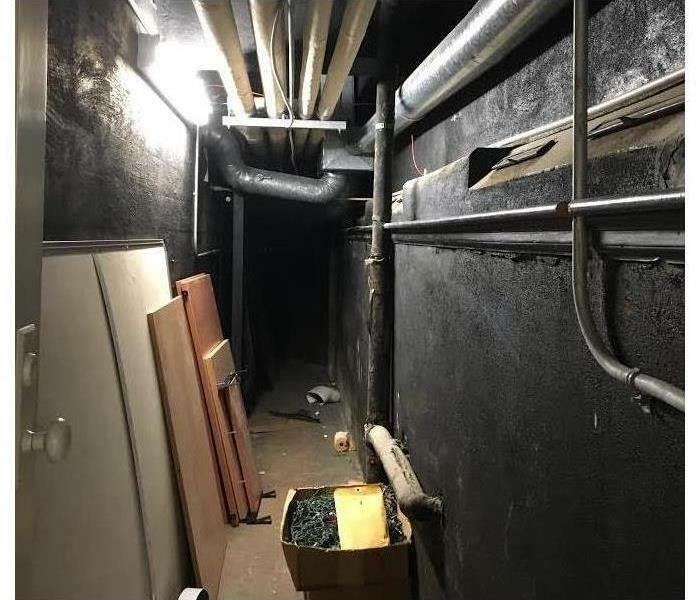 In addition to HVAC cleaning, Tony has performed numerous other duties to include water mitigation and fire mitigation. He has excelled at everything that he has done and we look forward to what the future holds for him. Phillip Wilson is a production technician. Phillip has been with is for almost a year. Phillip also traveled with our storm team to help with the hurricane cleanup in North Carolina and really excelled. 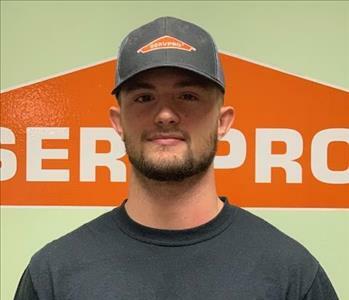 We look forward to what the future holds for him with SERVPRO. Daniel is a production technician and has been with us for about 6 months. Daniel also traveled to California with our storm team to assist in the wildfire cleanup. Daniel works very hard to do the very best job for our customers and we are very lucky to have him. In his spare time, Daniel enjoys spending time with his family.